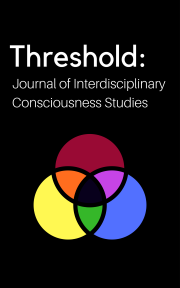 Threshold: Journal of Interdisciplinary Consciousness Studies (TJICS) is a free, online-only, open access journal published by the Windbridge Research Center that includes information focusing on interdisciplinary studies of consciousness as it relates to dying, death, and what comes next. The first issue was published on July 31, 2017. Articles include original peer-reviewed research, review articles, research briefs, conference presentations, education and training aids, essays, editorials, case studies, and book reviews. Specific content is tailored to meet the needs of practitioners, clinicians, scientists, and the general public. Published articles are distributed under the Creative Commons Attribution-NonCommercial-NoDerivatives 4.0 International License (BY NC ND). TJICS publishes two volumes per year, with new articles posted online as soon as they are available. Original Research Articles are peer-reviewed by at least two independent reviewers. Other journal sections are reviewed by the editors with external content experts consulted on a case-by-case basis. At this time, submissions to TJICS are by invitation only. TJICS does not charge the author any fees for publication and does not accept advertising.